Why them? On top of sharing a passion for tech—Joseph Tsai is co-founder of the Alibaba Group and Clara is an advisor to Taobao—this tycoon couple are both keen supporters of the arts. They're known to be avid collectors but are currently keeping the details of their collection private, though it's said to be focused on contemporary art. Last year, the couple was named in American magazine ArtNews’ list of top 200 collectors in the world for the first time. Why him? The chairman and CEO of Lifestyle International, the group that operates Sogo department store in Hong Kong, Thomas Lau is an avid—but low-profile—art collector. His collection is kept under wraps and he never advertises his purchases, but we hear that he collects both modern and contemporary works. He has been named by ArtNews as one of the top 200 collectors in the world every year since 2014. His brother, Joseph Lau, also appears on that list. Why him? By day, financial whiz Evan Chow is managing partner of MCL Financial Group and managing director of CEF Capital. But when Evan isn’t brokering deals or analyzing the markets, he travels the world meeting fellow art collectors, visiting artists’ studios and adding works to his ever-growing collection of contemporary art, which includes works by local artists—including Frog King and Chris Huen Sin-kan—and international stars such as Alicja Kwade and Katherine Bernhardt. Why him? 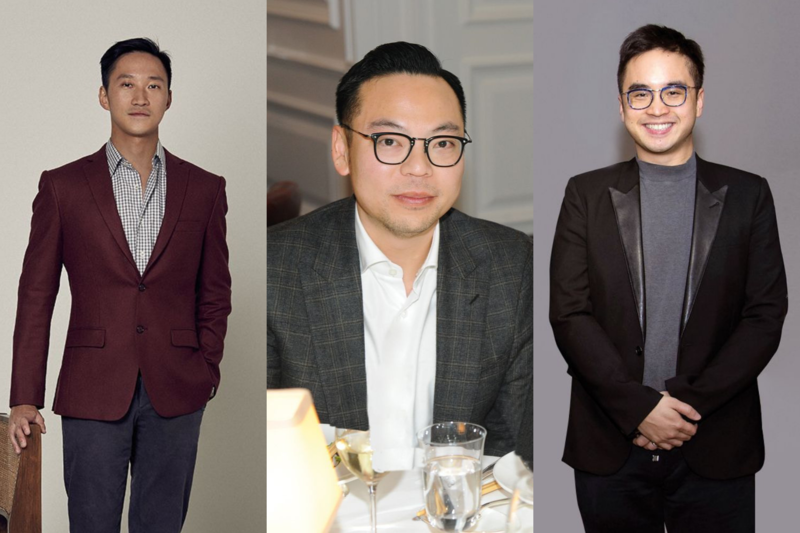 Heir to the New World Development and Chow Tai Fook fortunes, Adrian Cheng is also the founder of the K11 Art Foundation, which supports artists working in China. He owns works by major artists such as Zhang Enli, Zhang Ding, Tatiana Trouvé and Adrián Villar Rojas. Why him? As he works for Chinese tech corporation Tencent, it should come as no surprise that Alan Lau is particularly interested in art that explores technology. His collection includes works by Chinese multimedia artist Cao Fei and photos by Jon Rafman. That's not all: William Lim is the architect behind H Queen’s, a 24-storey arts hub in Central, Hong Kong, that is now home to leading international galleries David Zwirner, Hauser & Wirth, and Pace Gallery, among others. Why him? After a decade in banking, William Zhao threw in the towel in 2003 to focus on his greatest passion: art. The critic, curator and collector now owns more than 300 works, including pieces by Georg Baselitz, Joseph Beuys and Carol Rama. Why him? The collector and patron uses his string of restaurants to share art with the masses, with Duddell’s in Hong Kong being the most art-focused of all Alan Lo’s establishments. With perfect parcels of dim sum being cooked in the kitchen and world-class art on the walls, why would you want to be anywhere else? Why him? Financier Lawrence Chu has an eclectic collection that features the works of established and emerging artists, ranging from paintings by Mark Bradford and Yayoi Kusama to installations by Guan Xiao and Lee Kit. Big spenders: At Art Basel in Switzerland last year, Monique and Max Burger were reported to have spent US$300,000 on an installation of 62 drawings by African-American artist Kara Walker.